Update: Starbreeze’s offices have been raided by police, leading to at least one arrest. According to SVD, the company was raided on suspicion of “insider crimes”, suggesting the arrest was made due to insider trading. As well as the arrest, equipment has been taken, including computers and documents. Starbreeze also says that the company itself is not under any suspicion and it cooperating with the authorities. It also confirmed that the raid was due to suspicion of “insider charges”. Update 03/12/2018: Starbreeze has filed for reconstruction and replaced its CEO. ‘Reconstruction’ is Sweden’s version of a company going into administration, so things aren’t looking good for the future of Starbreeze. The only way it can survive now is if it gets a big intake of cash, and fast. It could get this cash by sourcing investments, or selling off brands. For now, the company will operate as normal, but CEO Bo Andersson has departed the company. Deputy CEO Mikael Nermark is taking his place as acting CEO. What this means for Payday 3 and System Shock 3 remains to be seen. Previously, Starbeeze had promised to fund development on System Shock 3 to the tune of $12 million. Update 26/11/2018: Starbreeze has acknowledged poor sales of The Walking Dead and said that as a result it is looking to cut costs in game development. It blamed higher shares of sales to Russian and Chinese partners as part of the problem, and said that a $10 million payment from 505 Games for the console version of the Walking Dead won’t be recognised as revenue during this financial year. “The company has commenced a project to review operations and has initiated a program to reduce costs and sharpen focus on core business – internal and external development,” Starbreeze told investors in a press release. 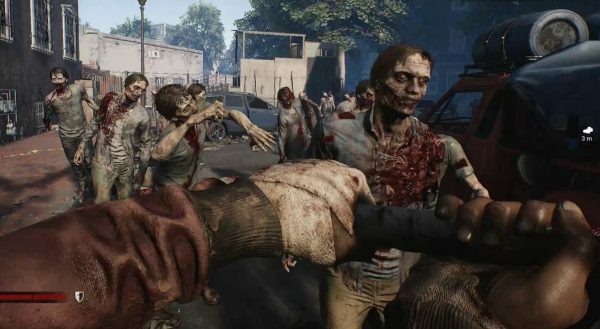 Despite the poor initial sales of Overkill’s The Walking Dead, Starbreeze said it hopes to build on the game for Season 2, which kicks off soon. “This is disappointing, of course, but we have a base to work with in regards to the number of games sold. We have a pulse of concurrent players, which is essential to future performance within the framework of our Games as a Service concept. The team is working at full capacity to deliver improvements to the game and new content, and Season 2 will be starting soon,” said Starbreeze. Original story: Starbreeze’s stock has been in decline since June and it looks like the recent release of The Walking Dead hasn’t helped at all. 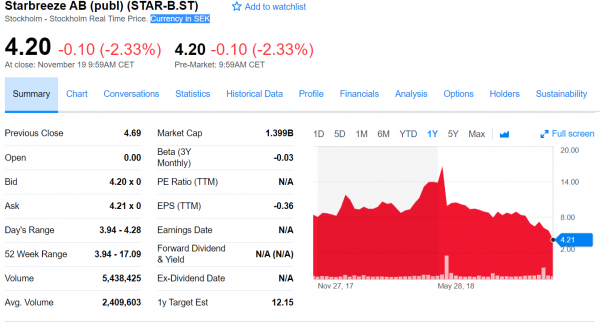 Just before E3 this year, Starbreeze’s stock took a huge nosedive, falling from 16.95 SEK ($1.88) to 9.93 SEK ($1.10) per share. On November 6, the same day Overkill’s The Walking Dead launched for PC in North America, the company posted pre-tax loss of $11.3 million for Q3 2018 – triple the loss of the previous year. “Today’s the day of our biggest release since Payday 2 more than five years ago,” Starbreeze CEO Bo Andersson said in the company’s interim report. “Overkill’s The Walking Dead is an important release for Starbreeze and is obviously our main focus right now. It is now well over a week since the game launched on Steam, and it has a mixed reception and a peak concurrent player count of just 14,292. In comparison, Payday 2’s peak was 247,628, although that figure was admittedly helped along by a promotion where the game was offered for free for a limited time. For now, Starbreeze seems to be all in on The Walking Dead, which is planned to be improved upon and iterated over time, just like Payday 2. “Today’s the day of our biggest release since Payday 2 more than five years ago,” Starbreeze says in the interim report. “Overkill’s The Walking Dead is an important release for Starbreeze and is obviously our main focus right now. Our expectations are high and the game received good and valuable feedback from the media and our community during the important beta phase. The Walking Dead is the first of eight games Starbreeze has planned. Next up is Payday: Crime War, a mobile take on the company’s popular co-op shooter. It remains to be seen whether the stock performance will affect investment on System Shock 3 – a game Starbreeze promised $12 million in funding – or the planned release of Psychonauts 2. The interim report also mentions Payday 3, although that appears to be the farthest out from the announced upcoming games. 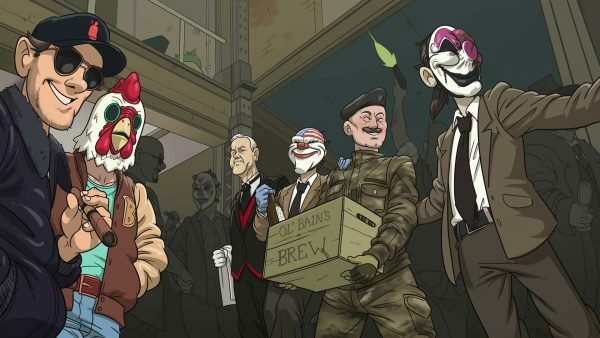 Perhaps the company will move to expedite its release, considering the success of Payday 2. We reached out to Starbreeze last week for comment, but we haven’t heard back. The stock has declined even more since then, and looking at the year in stock on Yahoo finance paints a grim picture.